Two documentary filmmakers are suing the St. Louis, Missouri police for arresting them during recent protests that erupted after the acquittal of a white former police officer in the killing of a black man. Drew and Jennifer Burbridge filed the federal lawsuit on Tuesday, alleging their constitutional rights were violated by three St. Louis police officers during a mass arrest, according to the St. Louis Post-Dispatch. Residents of Kansas City, Missouri, the Burbridges were among about 120 people taken into custody in a mass arrest on September 17, two days after a judge ruled that Jason Stockley was not guilty of first-degree murder in the 2011 death of Anthony Lamar Smith. 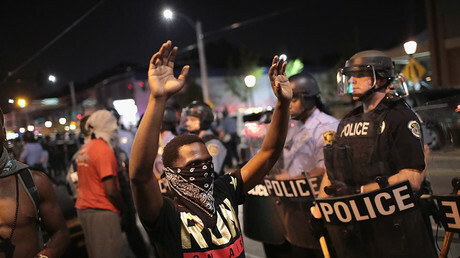 The ruling sparked several days of protests throughout the St. Louis region. In the complaint they filed in St. Louis federal court, the plaintiffs alleged the three officers ‒ listed as John Does ‒ violated their First Amendment rights, retaliated against them for engaging in constitutionally protected activity, interfered with their right to record police officers in public places, and used excessive force to arrest them. The protests turned unruly when some demonstrators hurled items at police and broke downtown windows. Officers pepper-sprayed protesters, and used a process known as “kettling,” in which lines of officers move protesters into a limited area. Police said they ordered the crowd to disperse and that those who failed to comply were arrested. The Burbridges claim they didn’t hear an order to disperse and when the police began to converge they wanted to leave but were blocked in. The suit said police would not allow them to leave despite their pleas. Police sprayed both of them with chemical agents and threw Drew Burbridge to the pavement face-first, the lawsuit says. Once he was on the ground, two officers twisted Burbridge’s arms behind his back and repeatedly kicked him in the back while restraining his arms with zip-ties. Even after he was restrained, according to the suit, three officers struck him all over the body with batons. During the beating, one of the officers asked, “Do you want to to take my picture now (expletive)?” according to the Kansas City Star. The lawsuit claims Drew lost consciousness from the beating but came to when an officer lifted his head by the hair and sprayed him the face with a chemical. Drew Burbridge said none of the officer would identify themselves, and they had removed their name tags. 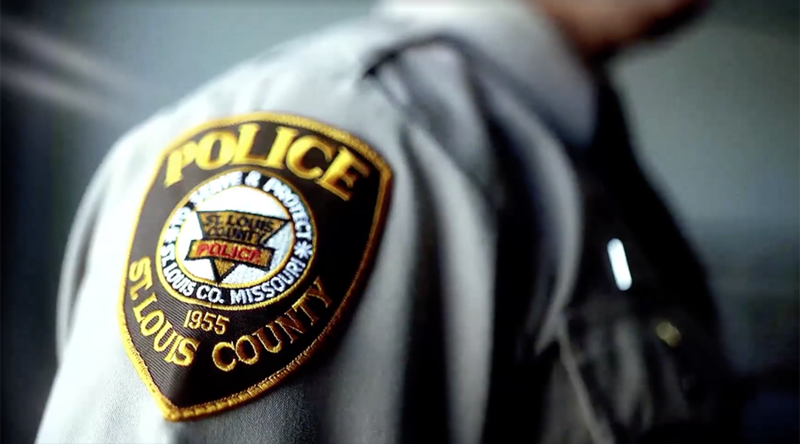 The September 17 arrests have drawn significant complaints, including a lawsuit from the ACLU of Missouri, alleging police were too forceful, taunted those being arrested, and arrested innocent bystanders. The Burbridges are seeking actual and punitive damages. St. Louis Mayor Lyda Krewson and interim Police Chief Lawrence O’Toole on Wednesday announced they were asking the US attorney’s office to conduct an independent investigation, according to the New York Daily News.